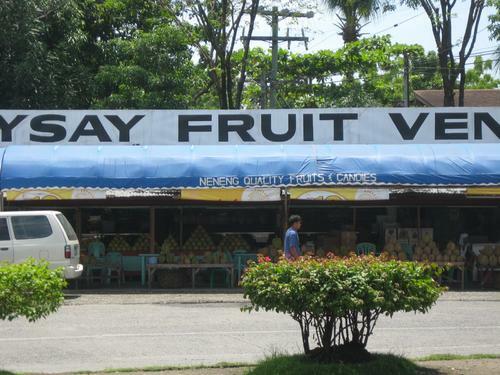 One of the best things in Davao is the very low price of fruits, and the best way to celebrate this advantage is to visit the fruit stalls in Magsaysay Park. 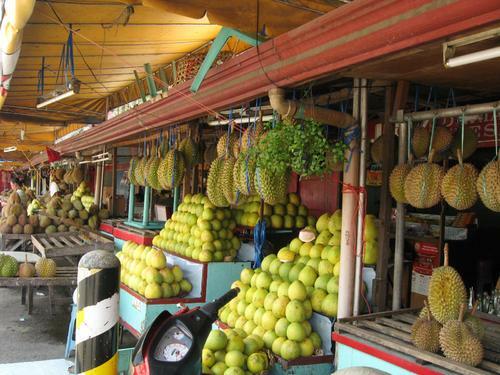 Just outside Magsaysay Park lies a strip of stalls selling fruits like pomelo and durian. This is where jeepneys unload the massive supply of fruits from plantations. Because of the amount of fruits and the number of stalls selling them, vendors adjust prices competitively to best out the others. Price haggling is a common practice here especially when certain fruits are in season, so make sure you have the charm. Ramon Magsaysay Park is accessible from almost any point in the city. You can simply prompt a taxi to take you there. If you wish to ride a jeepney, you can ride jeepneys that proceed to Uyanguren. Upon exiting Uyanguren, you will find the park. Madrazo is also a place popular for selling fruits.